We are a leading Manufacturer of h beam welding machine, heavy structural beam welding machine, h beam welding fabrication line and peb beam welding machine from Chennai, India. PRIMO Offers complete Welding solutions for H Beam Welding Machine. 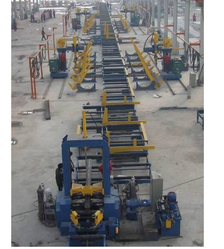 We offer the following modules/machinery according to Customer's Production requirement. 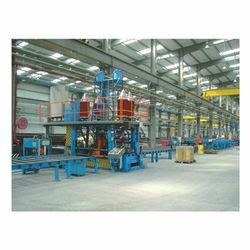 In line with clients' varied need across the country, we are offering a qualitative range of Heavy Structural Beam Welding Machine that is used for joining ferrous metals & light metals. This welding system is developed using high grade material and contemporary techniques in accordance with the set standard of industry. Apart from that, we offer this welding system in several stipulations as per the need of patrons. Our esteemed customers can avail the offered welding system from us, at competitive prices. PRIMO Offers complete Welding solutions for H Beam Welding Fabrication Line. PRIMO has supplied over 50 Turnkey Beam Welding machines till now. Primo Automation Systems Private Limited are the leader in manufacturing of automated PEB Beam Welding Machine (Pull Through Welding machine) . PRIMO as a world leader has sold more than 75+ Machines to various customers across the globe. 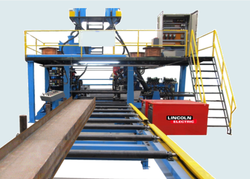 Our automated PEB Beam Welding Machine serves the exact customer requirement and high quality of welding with increased productivity to compete the current market. We have supplied our automated H Beam Welding systems to many PEB manufacturers in India and abroad and brought them to our list of satisfied and happy customers. 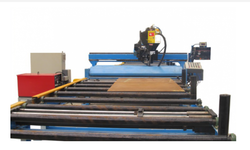 Looking for PEB Beam Welding Machines ?